582UL, 912UL & 912ULS versions are now "Special Light Sport Aircraft". Training and Aero-Towing for “Compensation or Hire" is a reality! Rancher Version for Crop Dusting and General Farm and Ranch Work, Just gained SLSA status July 2017! 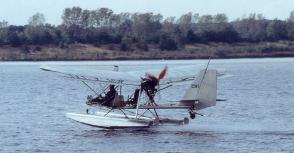 Article by Dan Johnson "First SLSA Dragonfly". Article by Dan Johnson "Dragonfly 912 Becomes Newest SLSA". Article by Dan Johnson "Working Aircraft - Aero Tow Exemption 11104". Article by Dan Johnson "Workhorse Dragonfly Rancher Takes on Heavier Duties — Aerial Work SLSA?". How to Choose between SLSA, ELSA Kit or EAB Kit? Manuals Downloaded prior to this date may not contain all the current information. Directives, Service Letters & Advisories from them and/or their websites. "As these can change on a daily basis!" This site is under development and updating. Please Return Occasionally for most current information!.